Help pre-schoolers gear up for their first term in the classroom with lively activities to build essential skills. 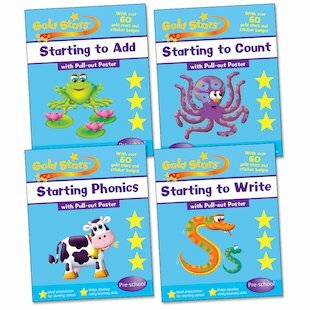 Specially created for pre-schoolers, these appealing, colourful books use simple play techniques to prepare children for the challenges of real schoolwork. Using friendly cartoon characters and familiar activities like reading, rhyming, colouring and sorting, they take the fear out of learning and make sure every child is fully ready for that all-important first day in class! 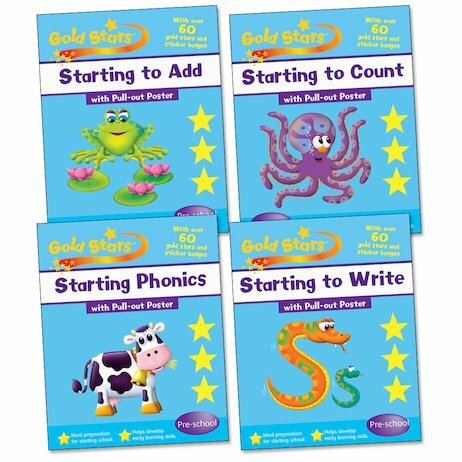 Each workbook comes with over 60 gold star stickers to reward achievement and effort.